As with any potential transfer, Manchester United’s pursuit of Ivan Perisic has been met with a rather mixed reaction on social media with many supporters concerned about the Croatian’s age and ability compared to players in the same position already on the move this window. It is widely reported that Manchester United have been encouraged in their pursuit of the former Dortmund forward given the fact Internazionale need to raise 30 million Euros by the end of June in order to pass their Financial Fair Play regulations. With that said there remains a discrepancy between the figure the Manchester club are prepared to pay and how much the Nerazzurri are determined to recoup as they seek to hand new coach Luciano Spalletti a gift in the shape of James Rodriguez. Few could have seen United’s interest in Perisic coming and this is a key point, the Old Trafford club no longer has a muddled transfer policy, those days are long gone with every single target now carefully assessed and planned for by Jose Mourinho. One of the Portuguese’s biggest strengths is his ability to assess a squad and identify players to improve it. His second summer in his second stint at Chelsea is a prime example of this and there are parallels to the Reds’ current campaign. He labelled his Chelsea team a ‘little horse’ that wasn’t yet able to challenge for the Premier League table and the Blues did duly fall short despite damaging Liverpool’s title aspirations beyond repair. In the blink of an eye Diego Costa, Cesc Fabregas and Filipe Luis were all signed before pre-season had even begun. Mourinho had identified soft areas in his team and acquired the right players which in truth turned his team into contenders for the title which they would lift by the end of the 2014/15 season. United have failed in the Premier League and Mourinho has had to do far more coaching than he has for years. He has improved a number of the current players and the club’s Europa League triumph will live long in the memory. His transfers have also been undoubtedly excellent. Zlatan Ibrahimovic arrived on a free transfer and scored 28 goals in all competitions, Paul Pogba is easily Manchester United’s best player whilst Eric Bailly and Henrikh Mkhitaryan have performed consistently in defence and attack respectively. 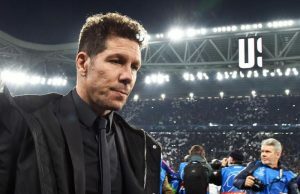 Fans should be encouraged by the former Internazionale coach’s work in the transfer market, but be aware that all transfers now go through him. 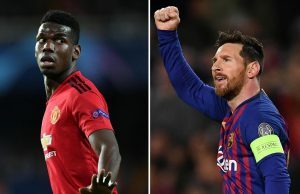 In the years post Sir Alex Ferguson, it seemed as though Manchester United were desperately searching for something in the transfer market but it was never clear quite what. Angel Di Maria was a marquee signing that didn’t work out and then teenager Anthony Martial was signed for an extraordinary fee at the time and has for the most part shone. Bastian Schweinsteiger was added to an already ageing and immobile midfield whilst Ander Herrera, who arrived just before Louis van Gaal took charge, was mostly ignored by the Dutchman for two seasons. It almost seemed as though Van Gaal was happy for the club to target players and he would then try to fit them into his system, it provided a hit and miss success rate to an already scattergun approach. It is interesting that all the previous calls for the club to appoint a Director of Football have disappeared since Mourinho and Ed Woodward started working together on a pre-agreed strategy. United hoped they had found two of the brightest young talents to lead them into another trophy laden era in Martial and Memphis Depay yet one of the pair has now been sold to Lyon whilst the other isn’t Mourinho’s first choice. This is why people need to understand that United’s approach to the market has changed. Talent in a general sense is now mostly irrelevant, as is age, it is now all about players which Jose Mourinho likes and feels will be able to come in and have an impact straight away. The 28-year-old scored 11 goals in Serie A this season and was impressive for Croatia in Euro 2016. He has enjoyed a whirlwind 14 months and whilst he isn’t the most exciting name it is clear why Mourinho is interested. 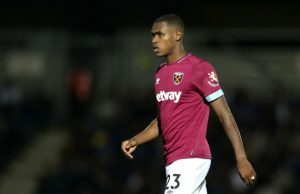 He’s a worker and is efficient on the ball, he is very direct in the sense he looks to move forward and create a chance in the shortest time possible. Missed chances cost United last season and Mourinho is desperate to put that right. Every single signing United make has now been considered and on a target list for a number of months, the policy is clear and despite it perhaps not being the most exciting, or popular, Jose Mourinho’s record for the most part cannot be questioned and it could propel United into the title race next term, something the previous strategy never came close to.